We are a Global, full service Sales Rep Firm, and consulting agency, providing exceptional support to the finest brands in Consumer Electronics. We strive to delight our customers in everything we do – exceeding their expectations and adding value to their brand, globally. We are not a traditional Rep Firm, we are a direct extension of your Sales, Marketing and Global Business Development Teams. When you engage BIG, you harness 30 years of successful industry experience to help you achieve your business goals. BIG was founded by Pete Baker, a dynamic global sales and marketing professional with over 30 years of experience successfully maximizing product sales and driving revenue growth in the custom electronics industry. Mr. Baker began his career as an integrator, accumulating vast experience in front-end system design and sales, back-end operational management, in-field installation as a licensed Power Limited Technician, programming and project management. He has worked on thousands of systems and was the founder of Custom Home Integration, a leading installation firm that he sold in 2006. Switching his focus to the manufacturing side of the industry, Mr. Baker joined Remote Technologies Inc. (RTI) in 2002. As the company’s vice president of sales and marketing, he spent the next 12 years building the RTI brand globally — positioning the company as a world-class leader for control, automation and distributed audio solutions. A positive, proactive leader adept at motivating and training winning teams, Mr. Baker led RTI’s worldwide sales, marketing, technical support, customer service, product integration and training efforts, creating strategies that resulted in a 2900% increase in sales under his tenure. 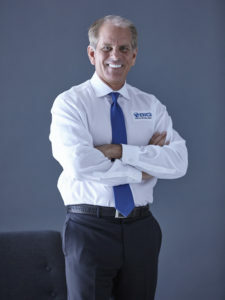 Mr. Baker was responsible for cultivating the company’s global distribution network into one of the most respected international sales, marketing and support teams in the industry, deploying a strategy that has been recognized and replicated by many distinguished and established CE manufacturers. With a talent for thinking creatively, Mr. Baker was also instrumental in the development of numerous unique, award-winning programs and initiatives at RTI, including the company’s: Advanced Control University (ACU), C2C (Committed to Custom), Integration Partner, Global Partner Summit, International Service Partner, Integration Zone Newsletter, and the popular Control Bucks, Elite dealer and many other highly acclaimed programs, which have received countless Industry awards. Mr. Baker has delivered hundreds of presentations all over the globe, earning him recognition as an engaging and sought-after public speaker. During his travels, he has gained first-hand knowledge of the different global markets and created a worldwide network of talented business associates, colleagues and friends. BIG can help your business Grow: With Global Experience Establishing, Managing Sales and Distribution networks. BIG can help people to know about your brand and the benefit you can provide to them: Expert creative skills to create an effective marketing campaign strategy. Having created numerous award winning marketing campaigns, programs and policies. BIG can engage with your teams and help them to excel: Over a decade of experience leading award winning Sales, Marketing, Training, Customer Service and Support teams. BIG can educate people about your brand: As a regular contributor to industry publications and having delivered hundreds of training and dealer events around the world, BIG knows how to create and deliver award winning education. BIG can represent your brand, professionally: With 30 years of experience in the industry, and an impeccable track record, we can present a professional image when representing your brand. BIG can help you establish a global distribution network for your products, with legitimate Distributors. BIG works with world class CI distributors who have been certified to provide proper marketing, technical support, training, invest in inventory, and sell your product to professional integrators in the region. Providing global expansion, sales and marketing success for companies in the CE industry. Responsible for leading expansion efforts outside of North America for several, leading US CE Manufacturers. Lead all Global Expansion efforts for several Award Winning European CE Manufacturers. Built the RTI brand globally, positioning it as world-class category leader. Conceived, launched, grew sold CHI as a premier Integration company. Spearheaded the launch of a successful new division called TECHome. Successfully engineered, sold and managed the installation of thousands of low-voltage systems.